After a long flight the last thing you want to deal with is confusing transportation. Lucky for you finding your way from Narita International Airport (NRT) into Tokyo is fairly easy with just a few tips. First things first, Tokyo is served by two airports, Narita International (NRT) which is located just under 60 kms in the neighboring city of Narita, and Haneda International (HND) which is located in Tokyo. You're probably thinking flying into Haneda is the obvious choice, but it isn't that simple. Haneda services mostly domestic flights so if you're flying from North America or Europe you will likely fly into Narita Airport—which is what this guide will cover. There's more than one way to get from Narita to city center. Trains, buses, and even helicopters all service the city, and which method you choose depends on when you arrive, and of course how much you want to spend. This is one of the fastest, but pricier, ways to to get to Tokyo from NRT. The round-trip takes 55-60 minutes on average, costs ¥2940, and all seats are reserved, which means it's never over crowded. Foreign passport holders can get their trip for as low as ¥1500 when purchased as the Suica NEX package. The package can be purchased for ¥3500 one-way, and includes a ¥2000 Suica credit which you can use on the subway system for the duration of your time in Tokyo. This is JR’s slower, domestic route, and is popular for extreme budgets (although not substantially cheaper). 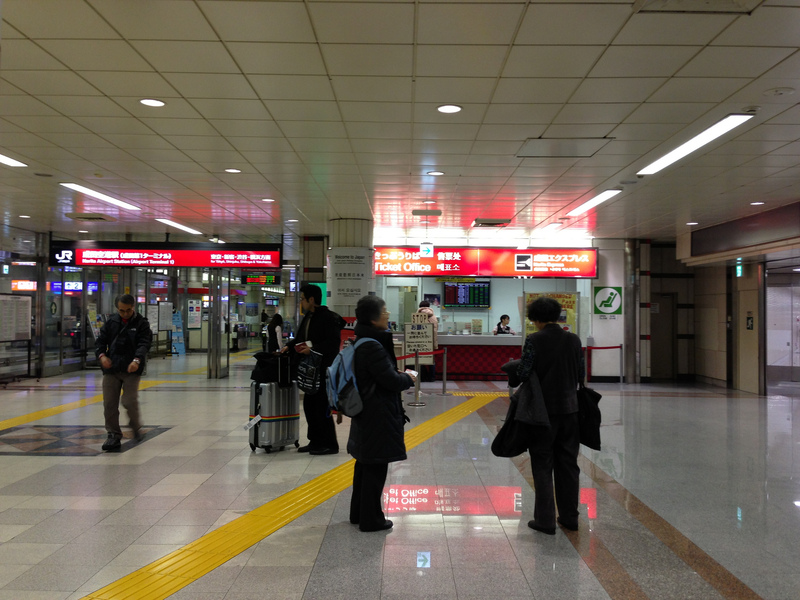 The travel time is around 90 minutes, and costs ¥1280. While the 30 extra minutes might not seem much longer reading this in the comfort of your home, after your flight it will seem like an eternity. This is the fastest train into Tokyo, taking only 40 minutes to enter the city boundaries, at a cost of ¥2400 one-way. It departs every 30 minutes though, so if you just missed one you should get a ticket for the NEX if it leaves sooner. See the video below for a quick look inside the Keisei Skyliner train. If you’re on a tight budget, this is your choice. At ¥1000 this is the cheapest option, it takes 75 minutes—faster than the Airport Narita Line—and departs every 20 minutes. Not surprisingly the fastest methods are a bit more expensive, so it really depends on whether you want to get into the city fast or cheap. Unfortunately there's not right answer to which method is the smartest because there are a several conditions you have to consider. Say you plan to take the fastest train that costs the most money, but when you arrive that train has just left. In this case it would be a good idea for you to find out which train is leaving next, (even if it's the slowest train into the city), because you may end up getting into the city at the same time for less money than if you waited 30 minutes for the next fastest train. Airport buses are sometimes your best bet to get into town in some cities, but not in Tokyo. Generally speaking it takes longer than your cheapest rail option, and costs 3 times as much, ¥3000. The trip takes about 90 minutes, and this isn't factoring in traffic delays. This option may be preferable if your hotel is one of the stops, but still…just save yourself the time and ride the rail. A reputable provider of bus services is the Airport Limousine Bus company, but there are several other. You can purchase tickets at the counters near the rail ticket counters if you decide to go this route. Taxis from the airport are expensive, but if you’re looking to transport several people or lots of luggage this may be a preferable option. Follow the signs to the taxi stand, and ask for a fixed fair to the city. A trip to Shinjuku should cost around ¥19000 if the driver takes Keiyo Road, or ¥21000 if they take the Bayshore Freeway. Still if you do the math this is still much more expensive than taking the rail. Mori Building City Air Services operates a helicopter service between Narita and the ark Hills complex in Roppongi. The service takes around 35 minute (20 minutes flying time), at which point you are shuttled off to your final destination in a sedan. Fares vary depending on where you are booking from, but can be had from ¥45000 per person. While this is a fast and luxurious choice, it's not substantially faster then the Keisei Skyliner and costs considerably more. Although, sometimes a ride in a helicopter is just worth it.